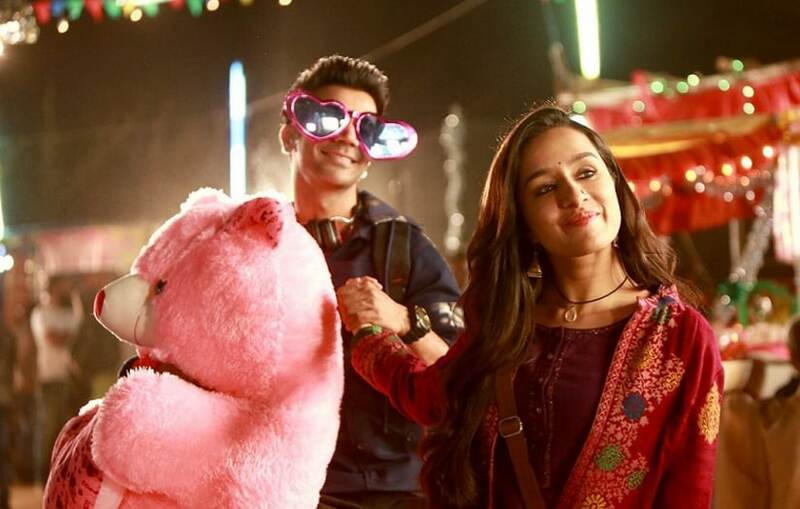 Rajkummar Rao and Shraddha Kapoor horror-comedy Stree has crossed the 100 crore mark in its third week at the box office. Witnessing a substantial rise in its Saturday collection, the Amar Kaushik directorial raked in Rs 3.76 which goosed its total earnings to a neat Rs 101.43 crore. And #Stree hits a century... Crosses ₹  cr mark... [Week 3] Fri 2.14 cr, Sat 3.76 cr. Total: ₹ 101.43 cr. India biz... This one’s a LOTTERY for its investors. After a long dry spell, 2018 has turned out to be a lucrative year for Bollywood with over nine films entering the prestigious 100 crore club. Produced by Dinesh Vijan, Stree also joins the ranks of Padmaavat, Raazi, Race 3, Sanju etc. On reaching the milestone, Vijan shares, "It’s been such a great journey for all of us associated with Stree and achieving this feat makes us as a production house even more confident in backing the content we believe in. The feedback along with the box office numbers is surreal and I’m so full of gratitude at the moment! The excitement for sequel has already set in and we are working hard to ensure that we deliver the same for Stree 2!" Also starring Aparshakti Khurrana and Pankaj Tripathi, Stree is based on the age-old legend of Nale Ba and is set in Chanderi, Madhya Pradesh. The film is being lauded for its secular and feminist undertones and its treatment of the horror genre. Stree currently faces competition from Anurag Kashyap's recently released Manmarziyaan. After recording a low Day 1, Manmarizyaan bounced back and raked in Rs 5.11 crore on its second day. Its two-day earnings now stand at Rs 8.63 crore. #Manmarziyaan witnesses a healthy 45.17% growth on Day 2, although after a low Day 1, the jump in biz should’ve been higher... North circuits are performing better... Fri 3.52 cr, Sat 5.11 cr. Total: ₹ 8.63 cr. India biz.